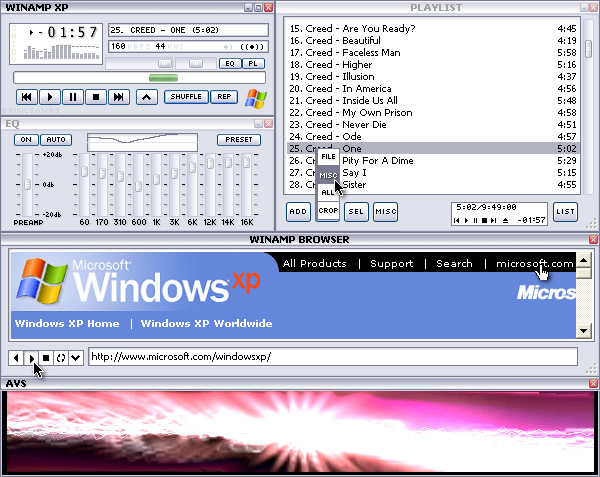 A complete Winamp skin based on Windows XP. Now in Metallic. Nice skin! Hope you make at again in the green version of win xp! Then I can put it in every theme of termine ObjectBar Skin! Olive Green version is on the way! Lokk for it in a week or so! Great skin, can't wait for the Olive one! this is crap WINDOWS XP'S DEFAULT SKIN IS CRAP CRAP CRAP GO GET A LIFE STUPID YANKS!!! !